Zion Lutheran Church in Buffalo, Minnesota has over 140 years of history in the area. Since 1866 it has grown from a small group of 58 Swedish immigrants to a congregation of over 4,000 members and now offers a wide variety of programs for all ages. Angela Bengtson works in Communications and Membership for Zion. Her responsibilities include running the membership database and church website and producing a monthly newsletter for members. She has been with Zion for 13 years. Zion has embraced technologies that are bringing information to its members in ways that were previously unimaginable. Blog posts on the website connect members’ stories with the greater church family, social media allows for quick and instant communication, and podcasts bring weekly sermons to the world. Zion’s parent organization, the Evangelical Lutheran Church in America, had adopted Guidebook for its large annual meetings. ELCA saw the ability for Guidebook to scale throughout its organization and asked Angela if she would test Guidebook as a church app for an individual congregation. She saw its potential right away. Zion has a lot going on. With multiple Sunday worship services (seeing attendance of 700 or more), Sunday School and a busy events calendar, it was easy to see that congregation members would instantly benefit from having these details at their fingertips. Zion uses Guidebook as a church app to offer information, maps and schedules to its congregation, and the app has been well-received. “People have been stunned by how Guidebook makes the maps and calendar work together,” Angela says. Angela also uses Zion’s church app to deliver important news to its members. With such a large congregation, there’s always plenty going on each week. They had traditionally delivered this content in the normal ways – printed weekly announcements, worship bulletins and newsletters. Now, in addition to the tried and true ways, the church app also pulls together RSS feeds, makes Zion’s social media readily available to users and shares PDFs of the weekly announcement sheet. Members can access all their church news and announcements from directly within the church app – all in one neat place. Members also no longer have to search their house for the church directory to find the contact numbers and email addresses of church staff. A staff listing within the church app allows members to easily search by name and find a photo, a bio and contact information in an instant. 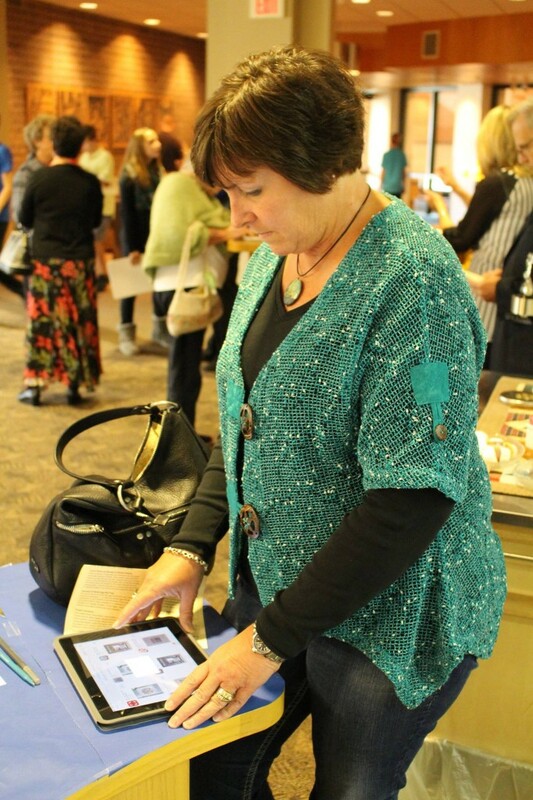 A Zion member participates in Social Media Sunday. Growth is always an important part of any church’s well-being. Another advantage of having a church app is that Zion’s visitors can interact with the information and have it long after their visit or even before they ever step foot through the door. Information such as facility maps and FAQ’s within the church app helps put visitors at ease and make them feel welcome. 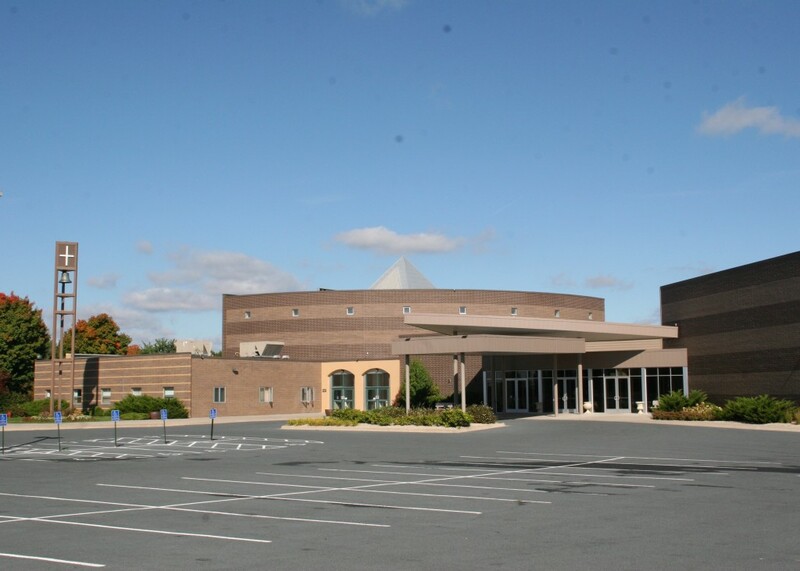 Like many larger buildings, the wifi service can be “iffy” at the main church location. Luckily anyone who has added the app to their phone can use it completely offline, which is a relief. The church app may even save Zion money in the long run. “I can see it reducing paper in the future,” Angela says. “We’ve been really happy with the response so far, and we’re looking forward to trying new things. As a part of the church app’s development process, the guide was rolled out to a group of testers who gave their thoughts on the user experience. Angela wasn’t sure what the response would be or how many people would adopt its use, but through a feedback survey found that members are largely loving its added benefits. Angela found that people expect to use the church app before and after worship services. 88% anticipated using it before coming to Zion for weekly worship and 94% anticipated using it after coming home from the weekly worship service. And 81% of the participants said that they would be “extremely likely” or “very likely” to both continue actively using the church app themselves and recommend it to others.